Yesterday evening was EDAC's first mixer. I assume the first of a regular event. It was held in Mountain View in the old train station which is now the Savvy Cellar wine bar. I had a nice glass of rosé from Provence that reminded me of the years that I lived in the south of France. Some of the money we spent went to charity, to the Mountain View Educational Foundation (MVEF). To my surprise I discovered another "microprocessor company you've never heard of", this one, like my wine, from the south of France. Montpelier to be exact. It is called Cortus and has been around for nearly 6 years and shipped over half a billion devices (well, its licensees have, it is an IP company). More surprising still was that it is represented in the US by Scott Hills who used to work at VLSI twenty years ago. There were lots of Jasper people at the event. Not surprising since their offices are just a few blocks down in the middle of Castro Street. Kathryn hadn't shown by the time I had to leave but everyone assured me she was coming. I guess there were 30 or 40 people there in total. The wine bar is quite small so it is a good job that hundreds of people didn't show up. Anyway an enjoyable evening. One major topic of conversation is that next week is DVCon, the big conference totally focused on verification. With verification being such a bit part of design these days it is starting to feel that verification is all there is. It is in the DoubleTree in San Jose as usual. The conference kicks off with the annual Accellera Day on Monday, March 3. The day-long event will run from 8:30am-4:30pm and will feature in-depth tutorials from experts and users on the latest in electronic design and intellectual property standards. There will also be a sponsored luncheon from 12:15-1:45 that will discuss The Future of Mixed Signal Verification: From Manual Simulations to Full Regression? 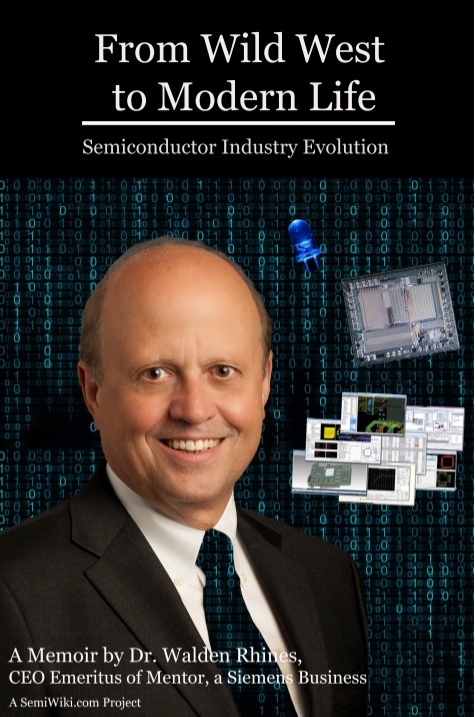 The keynote is at 2pm on Tuesday, given by Lip-Bu Tan, CEO of Cadence: An Executive View of Trends and Technologies in Electronics. Drink every time you hear "internet of things." The DVCon Expo will be open for three afternoons: Monday, March 3 from 5:00-7:00pm, including a sponsored booth crawl; Tuesday, March 4 and Wednesday, March 5 from 2:30-6:30pm. There are a record number of 41 exhibitors participating in the Expo. In addition to the 12 tutorials, 14 papers and record of 30 posters being presented, there will be 2 panels during the conference. The first panel, Is Software the Missing Piece in Verification? will be moderated by Ed Sperling, and will be held on Wednesday, March 5 beginning at 8:30am in the Oak Ballroom. The second panel, traditionally known as the Industry Leaders Panel, is titled, Did We Create the Verification Gap? and will be moderated by John Blyler. It will begin at 1:30pm on Wednesday in the Oak Ballroom. And DVCon is going international. Not only is there DVCon in the US next week, there is a new (presumably first annual) DVCon Europe. it will be held in Munich on October 14-15th. The detailed program won't be available until July 1st, although the 50,000 foot (or should that be metres in Europe) is that day 1 is tutorials and exhibition and day 2 is technical sessions and the exhibition. Call for papers is out already and open until April 8th. And potential exhibitors can sign up.